Tapes on the Floor: Wilco Comes to Athens! 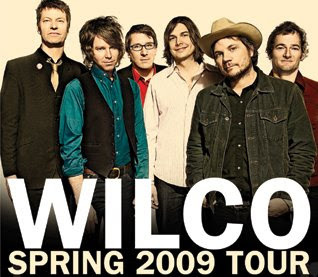 Wilco will be coming to Athens, Ohio on April 17 to play at the Templeton-Blackburn Alumni Memorial Auditorium. Never thought this would happen (and be so convenient). Words cannot describe my excitement. UPDATE: The radio station I work for is presenting a free screening of "Ashes of American Flags" the night before the show here in Athens. More details here.